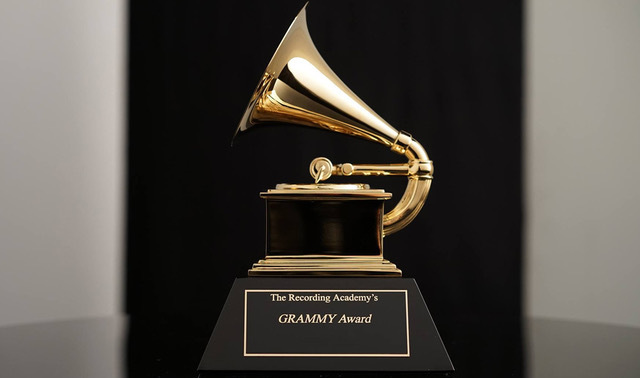 This Sunday all eyes will be on the music industry, as the Recording Academy presents the 61st annual Grammy Awards. This revered institution has been recognizing the work of outstanding musicians and others who work in the music industry since 1959, when the first awards were given as a way to cultivate a higher standard of music among the popular culture. Today the academy uses the awards as a way to recognize major advancement in the music industry. Nominees come from 25 different fields, including pop, rock, rap, R&amp;B, country, reggae, classical, gospel, jazz, and production and post-production work. Here at Madison Records, we’re extremely excited at the representation in the 2019 Grammys by so many artists from our home state of Georgia. Our state and the city of Atlanta has a rich tradition in music and a thriving music scene today. All year long you can find live music in multiple venues, large festivals celebrating all types of music, and recording studios just like our own here at Madison Records where young artists are given the tools they need to create a career in music. This year the Recording Academy has nominated nine artists from Georgia, and we’d like to take this space to congratulate each one and wish them the best of luck. Janelle Monae, Album of the Year Originally from Kansas but now calling Atlanta her home, Janelle is a true star of the music industry. Building on a strong career in R&amp;B, she has become a powerhouse in the industry, creating her own record label, Wondaland Arts Society. She’s nominated this year for her album Dirty Computer. Cardi B, Album of the Year, Best Rap Album Cardi B racked up five Grammy nominations this year, including Album of the Year for Invasion of Privacy. She first shot to the top of the music scene in 2017 with her single “Bodak Yellow” from Atlantic Records. The singer is well known for her social media personality as well as her talent as a rapper, and enjoyed a historic milestone when her single “I Like It” reached number one on the Billboard Hot 100 in July 2018, making her the first female rapper to reach the top spot twice. Childish Gambino, Record of the Year, Song of the Year, Best Rap/Sung Performance, Best Music Video How could we love this guy any more than we already do? Donald Glover, aka Childish Gambino, not only grew up in the Atlanta suburb of Stone Mountain, he developed, starred in and won Emmy Awards for the FX show Atlanta. Actor, comedian and rapper, this guy can do it all. Coming off a win for Best Traditional R&amp;B performance in 2018, he’s nominated for three awards this year, including Record of the Year for This is America. Chloe x Halle, Best New Artist, Best Urban Contemporary Atlanta natives and sisters Chloe and Halle are making a name for themselves at a young age. The sisters, just 19 and 18 respectively, are known for their tight harmonies and expansive range. Their debut album, The Kids are Alright, released in 2018, helped earn them nomination for Best New Artist this year. We’ve got our eyes on these girls! 6lack, Best Rap/Sung Performance This year, 6lack goes up against fellow Atlantian in the Best Rap/Sung Performance category, with his own nominee of “Pretty Little Fears.” Born in Baltimore, Ricardo Valentine moved with his family to Atlanta when he was five. He recorded his first vocals in his father’s studio at age 4, and has been recording ever since. His debut album, Free 6lack, has given him the opportunity to let his creativity and talent show through. 21 Savage, Record of the Year, Best Rap/Sung PerformanceThe British rapper and songwriter is based in Atlanta, and nominated this year for his work with Post Malone on the album “Rockstar.” He began his rapping career after the shooting death of his friend, and has since has used his fame to help others, including school supply drives and helping launch a program to teach kids financial literacy. Freddy Cole, Best Jazz Vocal Album The brother of Nat “King” Cole, Freddy Cole has a long and successful career as a jazz musician. Born in Chicago in 1931, he made Atlanta his home in 1972. His trio of musicians travels the U.S., Europe and all over the world, bringing his raspy, elegant vocals to a wide audience. The four-time Grammy nominee is up for Best Jazz Vocal Album for My Mood is You. Visit the Grammy Awards site for a full list of this year’s nominees.